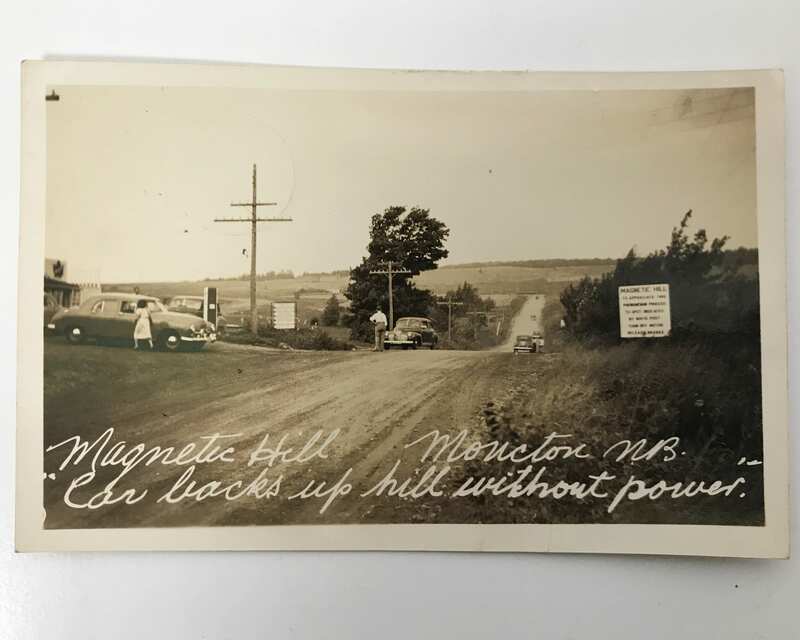 This real photo card was taken in the forties, and mailed on July 18, 1949, of Magnetic Hill in Moncton, New Brunswick, Canada. Magnetic Hill still is a fascinating tourist attraction where cars appear to roll backwards up hill in neutral, or without power. This photo was taken near the cafe and tourist shop founded by Muriel Lutes, and the card was mailed from the post office right there at the tourist center. 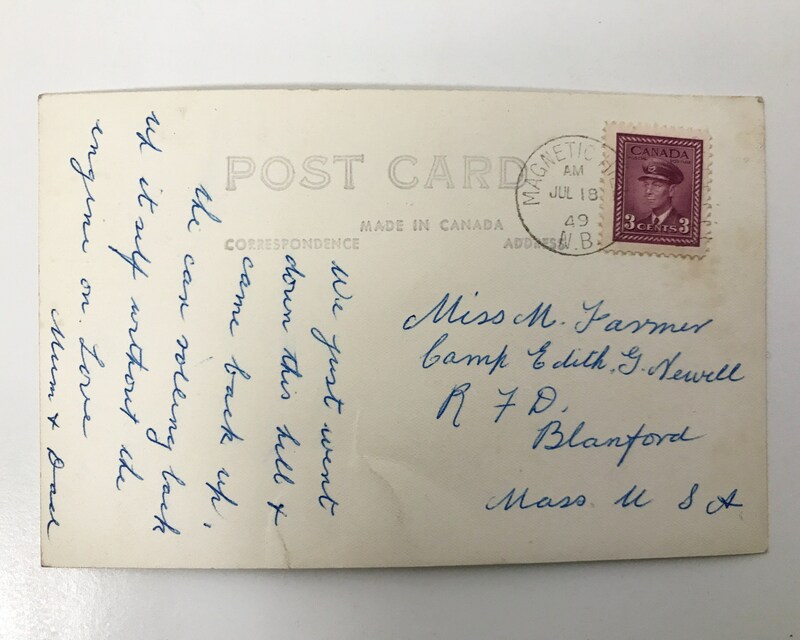 CONDITION: Good, but a little creasing, and the postmark impressed a circular mark that can be seen on the picture side of the photo postcard.